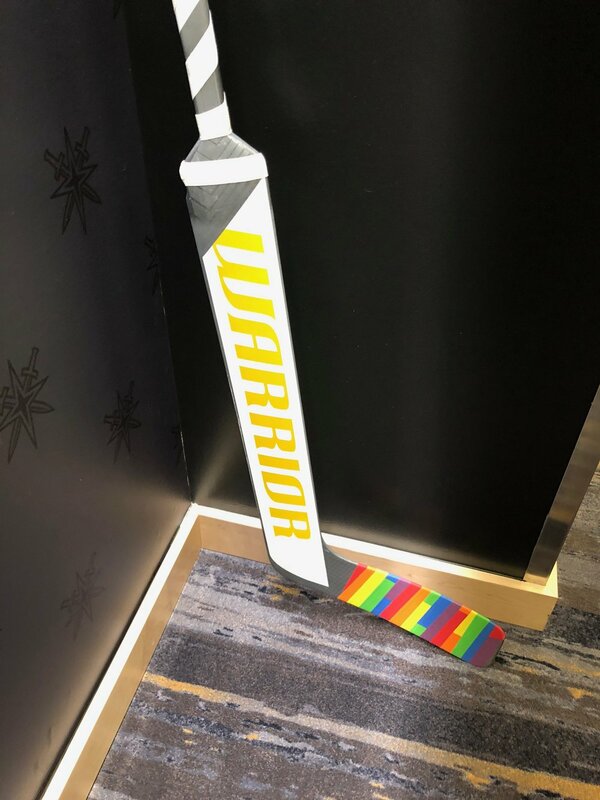 On Oct. 20, the Vegas Golden Knights hosted You Can Play Night at T-Mobile Arena as part of the Hockey Is For Everyone initiative, and they had some special tape jobs for the occasion. Players used the rainbow-taped sticks in warmups before they faced the Anaheim Ducks. Colin Miller (above) is the team’s Hockey Is For Everyone spokesperson this season. The sticks were auctioned off during the game with the proceeds benefitting the Human Rights Campaign of Las Vegas.